On my last full day in Peru, I took a moment to slow down. I started the morning in Puno’s Plaza des Armas, resting on a bench as the warm sun cut through the chill morning air. People were on their way to work, kids were on their way to school. The shoeshines that fill the park made a steady trade. Some men told boisterous, rude stories – with vivid hand gestures to match – while their shoes were worked. Only one woman took a shine the whole morning, middle-aged in her broad Peruvian bowler hat, accompanied by her husband. In a show of propriety, she removed her shoes before the shoeshiner began his work. I took breakfast at a small counter in the Mercado Central. An egg sandwich, two glasses of fresh mango juice, plus a Coke and a water for later, all for less than three US dollars. While I ate, I watched the butchers in the meat market do their grizzly work while a mangy dog prowled for scraps. A small child wailed while his mother wiped his hands scolding him for getting dirty in the first place. 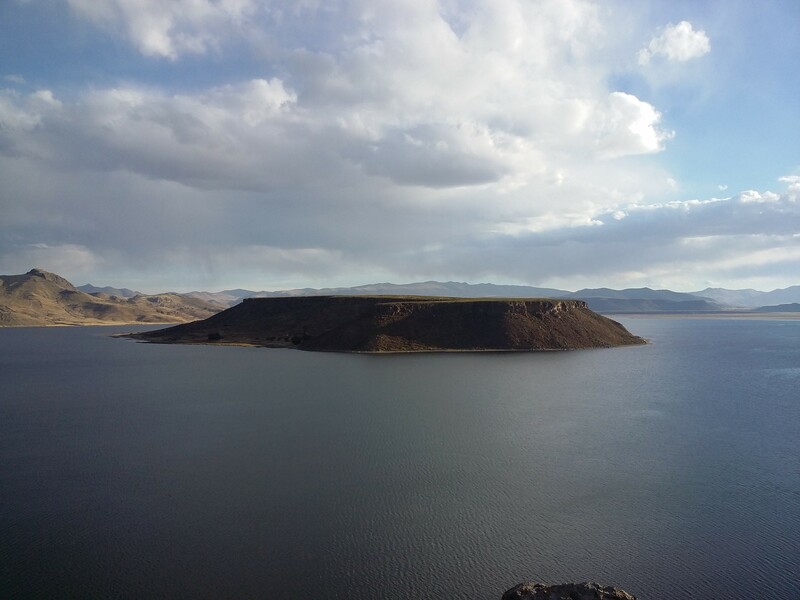 In the afternoon, I visited Sillustani, which is a pre-Incan burial ground on the shores of Lake Umayo. The tombs were built above ground in tower-like structures called chullpas. They belong to the Colla people, Aymara who were conquered by the Inca in the 15th century. Ancestor worship and kinship were integral parts of Aymara culture, and the huge chullpas were built to house the Aymara elite of the pre-Inca and Inca period. They are, in a word, stunning in the setting sun, as is Lake Umayo. Leave it to the rich guys to pick the best real estate and then build something on it that tries to call the attention back to themselves.